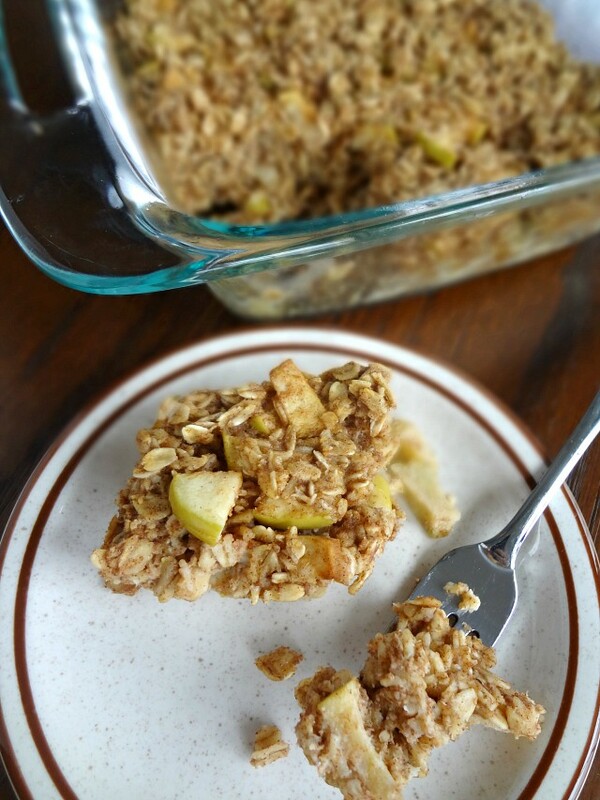 Another baby/toddler approved recipe--that's also endorsed by the hubby. This oatmeal is awesome because it is super versatile, you can totally play around with it a bunch, and it's healthy AND tasty! And-bonus for a busy parent or any busy adult-suuuper quick and easy to make. You just mix everything together, spread into a pan, and bake! I love baked oatmeal-I think it's so comforting and tasty and I like that it's not as messy as unbaked oatmeal, lol. James loved this too-it's nice and filling and flavorful. I haven't made it in awhile now and the only reason for that is a current "bopple" (AKA apple) obsession that little man is going through. No apples survive his appetites long enough to end up in anything else. He so much as glimpses an apple and he immediately starts clamoring for "BOPPLE BOPPLE BOPPLE!" But I swear as soon as I figure out how to successfully hide an apple from his little eagle toddler eyes I will be making this again! Last week was pretty uneventful so here I am with a little recap of the last couple weeks! Mostly, we've just been enjoying each other! I had last weekend off and on Saturday Michael and I went out to brunch while James napped (Michael's mom stayed with him) for some much needed alone time. I'm off this weekend too and am super excited for more family time! I managed to skip 1 whole month of updating. Don't judge me. I just found myself thinking about all the amazing and awesome things James is doing and worrying I'd forget what he was like at this age soooo...here we are. I'm still only planning on occasionally doing these, whenever the mood strikes I suppose. Regardless, I love this boy and he gets even more awesome every day. Eating Habits: So, since he turned 1 I've been cutting out one nursing session a month. Up until this week he'd been down to nursing in the morning and at bedtime, but now we just cut the bedtime session so it's just the morning. Then he has breakfast (usually yogurt and toast or something like that). He can completely feed himself with a spoon, he's actually super good with it. He usually has a snack somewhere around 9 or so and then lunch(ish) around 10:30/11. After he wakes up from his nap he has a snack (sometimes after playing for a bit first) and then maybe another snack around 4ish and then dinner around 5:30/6. He's very demanding about his food though and will frequently just walk up to the refrigerator smacking his lips and asking for a "bopple" (apple) or "cheeeeese" or "nana" or something so his snack times are all very variable lol. But he's a good eater! He's gotten a bit more particular about wanting to eat certain things and not others but he goes through phases with it so we just keep riding it out, he still eats super well compared to most toddlers lol. Still messy, but not quite as bad as when he was younger! At this point most of the messes are caused by him throwing food which is usually a fully conscious toddler decision. 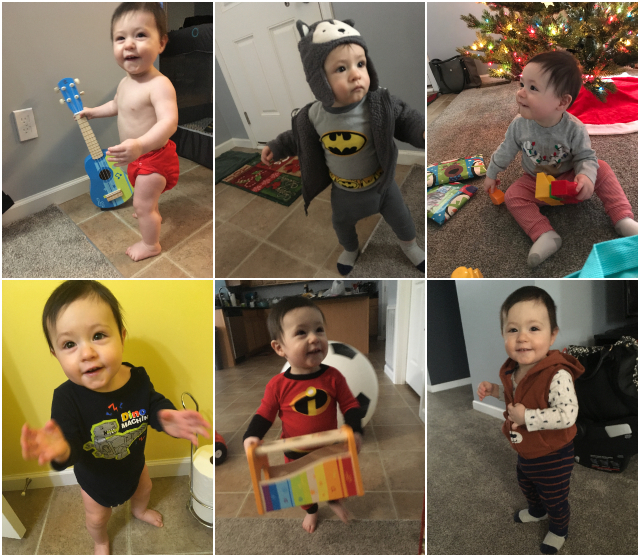 Development & Firsts: Developmentally speaking...omigosh I don't even think I could think of all the things that have happened over these past couple months. All I can say is he's gotten super good with blocks and his toys that are like that. He talks A TON (usually repeats just about any word) and understands even more. If I can't find one of his toys he'll usually find it for me or point to where it is. He gets things I ask him to get. One time we read the Hungry Caterpillar and he walked into the other room and got the butterfly from there (which is actually the one from the book but we've never told him that)-like...what!? He requests things that he wants (especially food lol). He has a full blown sense of humor-like...he understands absurdity and things that are silly. And I don't even know what else all I know is that he's crazy smart and becoming such a big boy (*sob*). He's running all over the place, of course. Other than that he got an 8th tooth shortly after turning 1 and has just been working on his 1 year molars ever since. He got to play in the snow for the first time (he loves looking at it and walking in it and sledding on it-does not love being submerged in it). Ooh! He had his 2nd Christmas but it was so much more fun and wonderful now than when he was 2 weeks old lol. He was so excited about all the presents and getting to see all his grandparents, he looooved it. And....mmmm...yeah. I think that's it. Mischief: James is vocal in all ways, including when he's displeased lol. He still runs away mid-diaper change, while naked (which is pretty cute actually hehe) but now he's also figured out how to unsnap his diapers. As soon as a snap comes undone he immediately starts maniacally laughing and running away as you go get him. There have been a couple times where he had the thing half hanging off him as he laughed and laughed. And honestly I laughed too. His throwing food situation has gotten much better but he still is going through it. Especially when he's full or if he doesn't like what the food is (hi broccoli GET THE HECK OUTTA HEEEERE) or is just cranky for whatever reason. Or if he's being playful. Meh, it's a work in progress. Another thing he likes to do is get into things he shouldn't. Particularly this one bookshelf. Honestly, it's not a huge deal-we tell him not to take the books off and he usually does but he doesn't do anything to them and we don't really care about them so meh. 80% of the time he's good about not messing with things he really shouldn't (namely pushing the buttons on the cable box, getting into the coffee table, etc.) but that 20% happens when he's desperate for attention (AKA mommy's making dinner). I also need to make sure the bathroom door is always closed or else he has too much fun with the toilet paper. He likes to mock us telling him now by either going "bowwww" or "nonononoooo" in a very exaggerated way. And the cutest (and arguably saddest) bit of mischief is his fake out hugs. He'll run at you with a big smile on his face, your arms are open and you're just sure he's coming for a hug: sometimes you're right! But sometimes he's faking you out and will run right past you or at the last minute swerve away to something else. RUDE. Cuteness: This section is both the largest reason I want to write these updates and the hardest part for me to do. I don't want to forget any of the cute things he does but IT'S SO HARD TO THINK OF AND WRITE ABOUT ALL OF THEM! Ahhhhh. He is just so stinking funny-he makes the most hilarious expressions and sounds and has such a great sense of humor. He knows he's being funny and seeks it out. His grin is just the cutest best thing. He's also sooo EXTRA (that's my baby!) He'll just like raise his hands to the sky and look up and like squeal. He'll just jabber loudly and excitedly and make fun faces and scream and run at you. He sings to meatballs (he like just was eating meatballs at dinner and was so happy about it that he was like happily singing to them...) Sometimes we put this little Batman cape on him and he'll just flip it behind him so dramatically, it kills me. And even cuter is how he'll do this adorable waddle run while wearing it and it just flies out behind him. He wants everyone to pay attention to him always and he'll act as cute as possible to receive it (he's a wee bit attention spoiled, one time when we were at breakfast and the people at the table next to us were *gasp* just paying attention to each other and eating their food James made it his mission to get them to look at him and smile at him lol.) He just loves people so much! He gets so excited about visitors or seeing people when we're out. He even gets excited when he sees pictures of people (if I even mention his Uncle Joshy-my brother who lives in Hawaii and he met once when he was a month old-he points to the picture of him on the wall and gets excited. He calls his little photo album of people "pop pop" because he loves seeing the picture of my dad in it and exclaiming "pop pop!") And omigosh guyssss....James twirls. Like if there's music on (and sometimes when there's not--he also likes to just walk around and dance and sing "doo doo doo" to himself even when there's no music) he puts his arms out and twirls in circles. He even usually spots (aka keeps his gaze fixed on one point--usually me) when he does it! It's SO ADORABLE. He still just loves dance and music so much. It is just in him. The Greatest Showman soundtrack is a particular favorite. Something else that kills me is how James annihilates apples (and also how he says "bopple" for apple. I don't want him to stop ever.) I will seriously give him a whole apple and I have to keep a close eye on him or he will devour the entire thing, core and all (it happened once when I wasn't watching close enough). He also gets super super excited about getting to go play in the basement (it's essentially his playroom down there--don't worry, it's a nice finished basement lol) and will run to the door and excitedly giggle when you tell him we're going downstairs. Pretty much anything involving feet or socks will get a silly nose wrinkle and grin as he proclaims "stinky!" He'll also usually grab his foot and smell it and proclaim it "stinky". And then he's also so sweet. He's gotten really into cuddling soft things. He'll just lay on the floor on a pillow or blanket or a stuffed animal or even just like a soft sweater or something and go "mmmm." He's become such a cuddle bug. But a very active cuddler-he never stays still. He'll lay and go "mmm," then he'll change position "mmm," flip all around again, "mmmm" and so on. This is also the case if I'm laying down and he decides to cuddle on me: it's an interesting, and adorable, situation. The first day that he was down to 1 nap, James ended up gathering all the pillows and blankets in the living room and created a little nest to cuddle up and roll around in and there is like always a nest now. He'll even get a bit peeved if he finds you've taken a blanket from it haha. We still get occasional, wonderful kisses. But his affection in general has really ramped up-he'll just run and give Michael (and sometimes me) a tackle hug around the leg. Sometimes if I'm sitting and he's standing James will wrap his arms around my head and sort of nuzzle it. He likes to pat us on the shoulder when we're holding him and we still sometimes get those sweet slow dances. The best is that everyone and everything is identifiable now. We'll say "Where's mommy?" and he'll point to me. "Go give daddy a hug," -he'll run and hug Michael. "Where's James?" he points to his chest and exclaims proudly, "James!" (He actually says it really well!) IT IS THE BEST. Especially when Michael tells him to give mommy a kiss and he complies (he only complies about 40% of the time but I'll take it!) When one of us gets home from work he gets so excited and usually runs away right before we come in the door, like he's going to hide, but then he changes his mind and runs back so he's there to greet us with a big grin. He likes to put his little fits over his eyes and then take them away to play peek-a-boo! Oh! And he loves to play with this one ladle I have (he'll go "ladewlllll") and use it to stir a big pot with his toys in it (aka soup). He'll give Michael and I tastes of it or take a slurp himself and say "mmmm." SO CUTE. Michael's an accomplished whistler and James has gotten super fascinated and trying to figure out how to do it (you see his mouth try to make the shape and he'll like blow out or say "doooo"). Watching him try to learn how to whistle is so amazing to watch. He just loves to copy Michael in general (we call him his little "monkey do"-as in monkey see monkey do). James is still a fan of books and is super cute when I read "I Love You Stinky Face" (he gets so sweet and gives me so many cuddles and kisses while reading it!) He also still gets excited anytime he sees anything with Batman. He still makes the animal sounds anytime he sees the animal that goes with that sound (our neighbors have dogs and anytime he hears a bark he runs to whatever window is closest to the direction the bark came from and is panting and looking for the doggy). 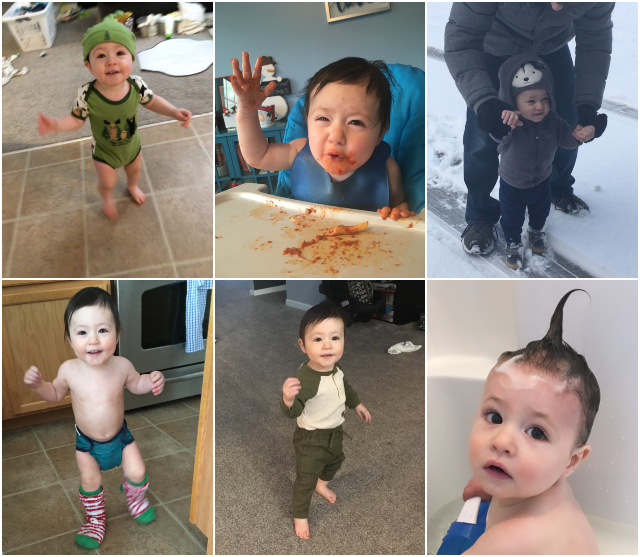 Nicknames: James-y, Jamesy-pie, Nugget (or Nug or Nuggy or Nuggy Nug or Nuggety or Nougat), Lumpkin, Noodle, Doo-doo (because he frequently walks around saying "doo doo" in reference to music/musical toys), Goofy or Goof-Nugget, Silly, Kid/Kiddo, Cutie McCuterson, Cuddle Bug, Snuggle Bunny, Kookaburra (because he's cooky), Mister, Sir, Bud/Buddy, Friend, Sweet Boy, Baby, Love (My love, little love, sweet love, lovey), Cutie patootie/pie, My Sweetie/Sweetie-pie, Sweet Pea, The Baby, Little/Sweet/Baby Boy (or any combo with any of the other nicknames listed-particularly Sir Baby and Mister Boy). Talking: Yeah he talks A TON. He'll repeat almost any word you say to him and you can actually sort of converse with him. He listens (sometimes) and responds and it's just insane. People are usually pretty impressed with how well and how much he talks. He says lots of food words ("bopple" for apple, cheese, "toto" for toast, "nana" for banana, "bawk bawk" for chicken, oatmeal, etc.) and says please and thank you (sometimes, and in his own little toddler-talk way). He calls people by name. Of course he still says "Dada" but he's started using "Mama" more again and calls my dad "pop pop" and is starting to sort of say "papa" or "ampa" for Michael's dad. His grandma is a work in progress and sometimes comes out like "nana" and sometimes like "andma" He says "sha sha" for his Aunt Shannan and "doshie!" for his Uncle Josh(y). He also calls Josh's dog by her name "Kiki!" And we can't forget our stuffed animal friends "Ala" (Nala), "Dasmine" (Jasmine), "Tiggooo" (Tigger) and "Di di" (dinosaur). He has a pair of Incredibles pajamas that he points to and exclaims "Jack Jack!" (he doesn't have screentime so he has no clue who that is, we just told him it was Jack Jack, but soon! lol) He also has Dumbo pj's that he points to and says "Dumboooow". We've been working on identifying body parts-he has nose (or "bose") down and usually gets (and says) eyes. He like always can point out hair (because he weirdly loves it) and usually knows where ears and bellies/belly buttons are. His feet he knows and usually sniffs haha. Mouth he gets about 65% of the time. And then he sometimes can also point out (and say) neck, elbow, and cheekies. The rest we're still working on. His animal sound game is on point. It includes (but is not limited to): waddling and making a little penguiny sound for penguins, and doing a similar thing with more of a quacky sound for ducks, he roars for dinosaurs and lions, he blows air through his lips for an elephant, he clicks his tongue for a crocodile and smacks his lips for giraffe, cows go "mooo", he shakes his head and blows out air for a horse and snorts for piggies, sheeps say "baa", monkeys go "ooh ooh" (and sometimes pounds on his chest lol), he says "blub blub" for fish, makes a sort of "arf" sound for a seal, makes a crowing sounds for a rooster, soooometimes he makes sort of cat cry, and of course he pants (and sometimes uses his tongue :P) for doggies. He's hilarious. But yeah, in summation, the child talks a lot and talks really well for his age. Favorites: Me and Michael. His grandparents and aunts and uncles. People/friends in general. Babies/other kids. Dancing/singing/music. Reading. Being tickled. Playing. Toys (especially balls and his trains, currently). Running and hiding/chasing or being chased. His dinosaurs. His stuffed Tigger, anything with Jasmine (from the Disney movie Aladdin-I have a few things with her on them), and my old stuffed Nala (from The Lion King) from when I was little. Making silly faces/sounds (sticking his tongue out and wiggling it in a goofy way is a new favorite). Sniffing (either faux-angrily because there are flowers nearby to be sniffed, or because he's pretending things are stinky.) Making animal sounds. Cuddling up with pillows and/or blankets (or the vest from his one buffalo outfit...I dunno). Hair. Feet (particularly smelling them and saying "stinky!".) ATTENTION. Baths. Food (fruit especially right now-apples and bananas and strawberries!). Batman. Dislikes: Being changed (clothes or diaper)-he still freaks out almost ever time, especially for the diaper. Being held or forced to stay still if he wants to go do things. Being taken from something he wants or somewhere he wants to go. Getting hurt. Not being paid attention to. Being in the car for too long. Most green vegetables, peppers, spicy food. Concerns: Not really! Just trying to make sure we do a good job and are teaching him the right amount of stuff/playing enough with him, etc. Normal parenting stress but he himself is great. No concerns. A Day in the Life: James wakes up around 7 and I go in and get him. He happily sits down so I can get him out of his sleepsack and then I take him out of his crib and I nurse him. After that he usually says hi to daddy and maybe plays in our room for a couple minutes then we go get breakfast. We then play and get things done/potentially run an errand. He has lunch around 10:30-11 (and usually has a snack sometime between breakfast and then). Then he goes down for his nap around 12. He hopefully sleeps until at least 2 but regardless I don't get him until after then, just in case. He's usually up by 3 at the laaaatest. Then we play for a little bit until he decides he's ready for a snack. Then I usually work on dinner and sometimes he has another snack before that. Dinner is around 5:30 or 6 and Michael usually gets home shortly before that. After dinner we have happy family time then bedtime routine starts around 7-7:15ish (unless it's an early bedtime day if he napped poorly) and he's asleep between 7:30 and 8. Then we start it all over again! Ahh what a busy week! Sunday James, Michael, and I went to church and got to play outside a little and just generally enjoy family time! On Monday, James and I went and had brunch with my boss and friend, Val. Then Tuesday we mostly just hung out and went to the grocery store. I had to work Wednesday and yesterday (and today and I have to work tomorrow too) but I got to spend Thursday with my sweet little nugget. Michael's been getting home earlier which has been so fun, we love getting to hang out and play. And it makes James get ultra affectionate and sweet which I adooore. HIII. I have a new recipe. It's a miracle, I know. Having a kid is hard, and I am in awe of the bloggers who do this thang with their tiny humans running around. They're the real MVP. I have a hard time but when I can get something for you I will! And here it is!! 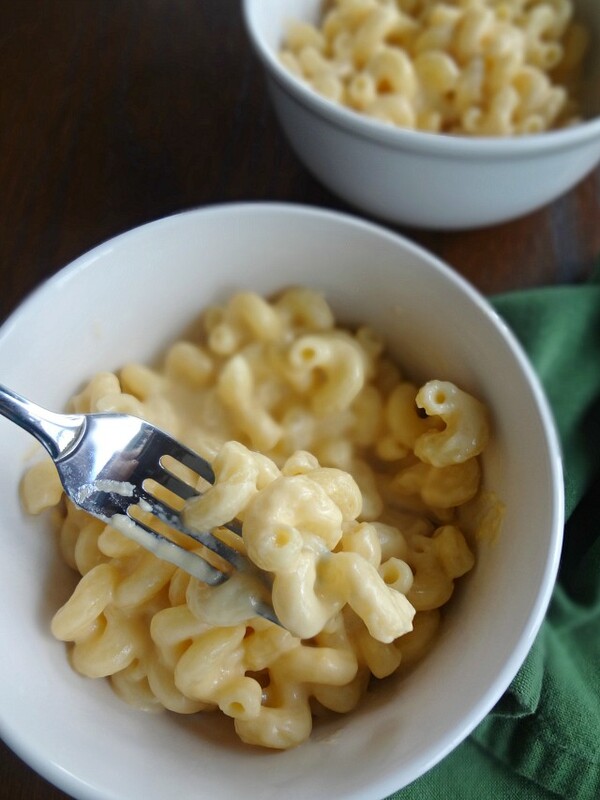 There are two camps of macaroni and cheese lovers: baked or stovetop. I'm a baked mac and cheese fan myself, I like the crisp top and thicker center. But Michael is firmly team stoveop, so when I saw this recipe I thought it looked like it would be right up his alley (and I certainly wouldn't kick it out of bed either)! 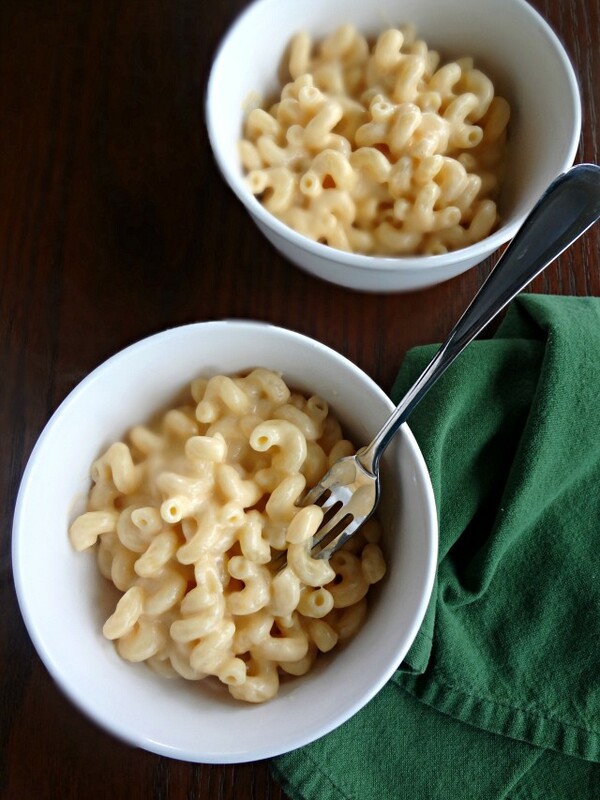 It's quick and easy, uses only one pot (hi hi hi have I mentioned I'm a busy mom? All important facts for me!) and is seriously creamy and flavorful and just downright tasty. And you can absolutely jazz it up with different seasonings, or by mixing up the kinds of cheese, or mixing in veggies or a protein (OMG NOW I WANT TO DO BEEF AND CARAMELIZED ONION MAC AND CHEESE BECAUSE I HAVE AN ADDICTION TO THAT COMBO). Am I still #teambakedmacandcheese? Yes--but this recipe comes a close second! And it makes my boys happy so...I'm really #teamfamily. Hi hi hiii! I'm one of those people who lived through this week's polar vortex-anyone else? Admittedly, it was like it never happened for James and I because we literally did not leave our house from Tuesday-Friday. On Monday we went to Studio Bakery again before the cold hit to get treats (macarons, ccc, pecan bar, cherry pie, and cassatta cake-natch) but after that we just stayed in! It was also soooo nice because Michael got home much earlier than normal all week which gave us lots of fun family time and James adored it (so did we). Michael's mom and sister came over for a bit on Wednesday (they both were off from school-his mom teaches high school and his sister is in college-because of the polar vortex) which is always fun. And this weekend I'm off work still so it should just be fun family time! Plus we had play date today with a little boy just a month older than James whose mom used to work with Michael (we went to their house a month ago and this time they came over here)-James loves getting to socialize and play and Niko is a sweetie so it was great.